The Garrett collection reveals a stunning display of large scaled, solid prismatic crystals that are precisely cut for maximum refraction of light. The pieces are set on a minimalist Oil Rubbed Bronze finished frame to further accentuate the windows of crystal. 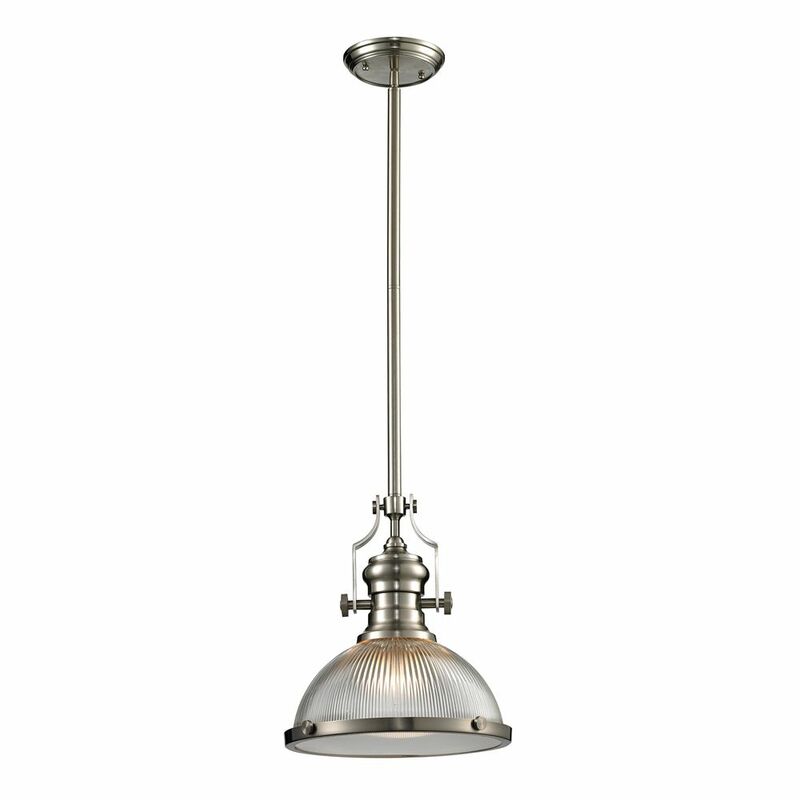 Chadwick Collection 1 Light Pendant In Satin Nickel The Insulator Glass Collection Was Inspired By The Glass Relics That Adorned The Top Of Telegraph Lines At The Turn Of The 20Th Century. Acting As The Centerpiece Of This Series Is The Recognizable Shape Of The Glass Insulator, Made From Thick Clear Glass That Is Complimented By Solid Cast Hardware Designed With An Industrial Aesthetic. Finishes Include Polished Chrome, Oiled Bronze, And Weathered Zinc.